British Council’s Developing Inclusive and Creative Economies (DICES) Fund 2018 for creative & social enterprises. Application Deadline: 23.59 UK time on 1 June 2018. 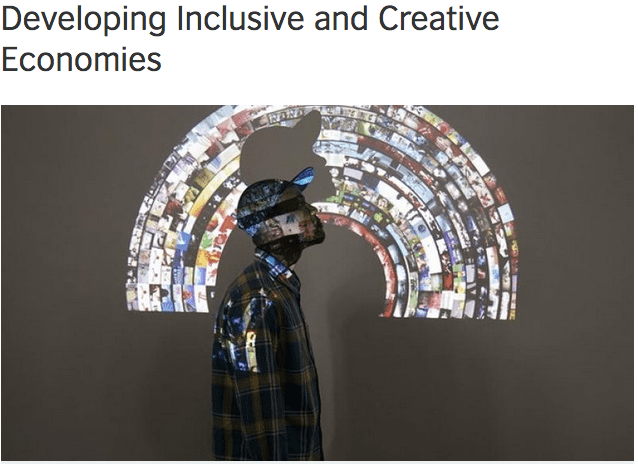 Developing Inclusive and Creative Economies (DICE), an ambitious programme that will support the development of creative and social enterprises in the UK and five key emerging economies: Brazil, Egypt, Indonesia, Pakistan, and South Africa. From 3 April 2018, the British Council will solicit applications from UK organisations for Scoping and Business Development grants worth £3,000-5,000 each. Up to 50 UK organisations and intermediaries will receive such grants. The application deadline is 1 June and the results will be announced in the week commencing 18 June. The grants will support recipient organisations to conduct site visits to one of the five overseas DICE countries (Brazil, Egypt, Indonesia, Pakistan and South Africa) in order to scope opportunities and build partnerships with interested, compatible local enterprises or intermediary organisations. Two visits will be organised to each overseas DICE country and will be held during two designated weeks in the summer and autumn of 2018. Successful applicants will be invited to take part in one of the two visits. Collaboration Grants will be jointly awarded to organisations in Brazil, Egypt, Indonesia, Pakistan and South Africa working in partnership with a UK organisation to deliver interventions that they have co-developed. These interventions will strengthen creative and social enterprises in the participating countries and focus on enterprises that empower women and girls, foster youth employment and support people with disabilities and other marginalised groups. Please download the DICE — Scoping and Business Development Grant — Application Guidance and DICE Timeline below for details of the timeline, applications and assessment criteria for both types of grants. Applications can be filed directly on this portal. You will first need to register and create an account on the system and then access the DICE application site. Once you have filed an application you will receive a confirmation email acknowledging receipt of your application. If you have any clarification questions about the grants, please submit them to DICEteam@britishcouncil.org. We will respond to you within three business days, and will also share replies with all other prospective applicants ahead of each application deadline (e.g. we will share replies to all queries received about the Scoping and Business Development grants on 1 May).